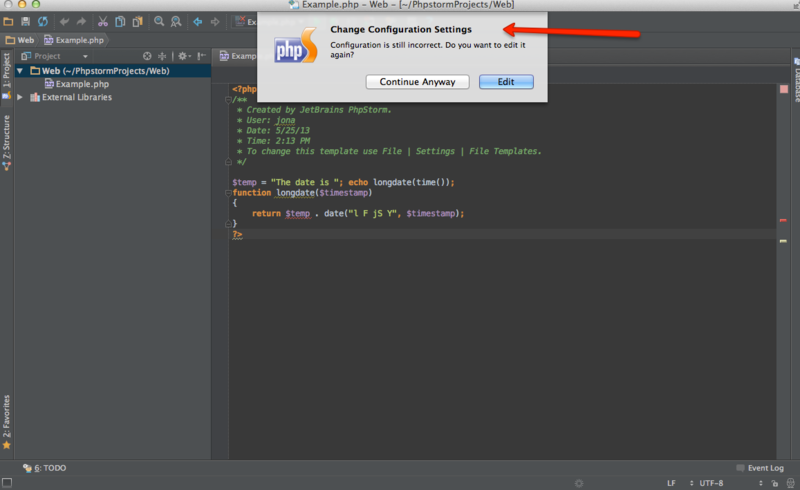 I just downloaded PHPstorm IDE and I want to start developing. I am using a Mac. 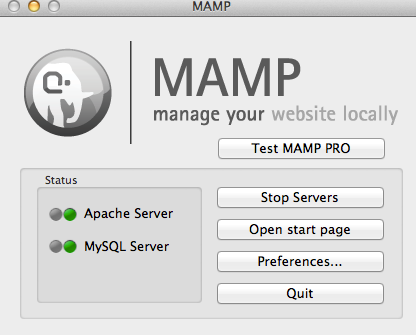 I have successfully installed and ran MAMP. 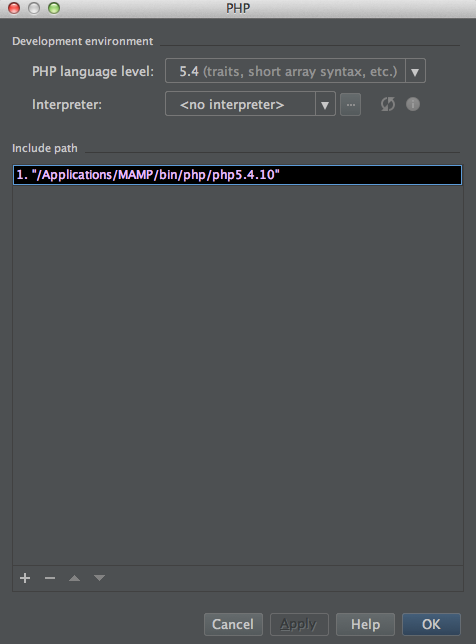 Here are the steps taken to have my PHP interpreter configured. I have taken screenshots to better illustrate my situation. Please help. I want to start developing. What am I doing wrong>? 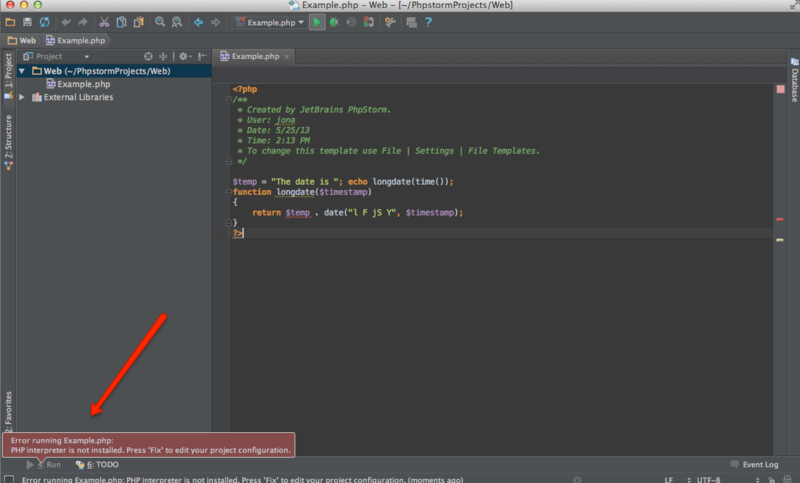 What am I doing wrong>? 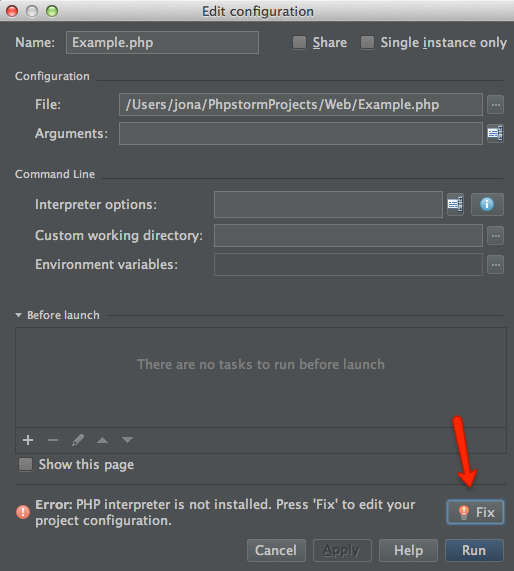 You have NOT configured your PHP interpreter -- your 2nd screenshot clearly shows: <no interpreter>. 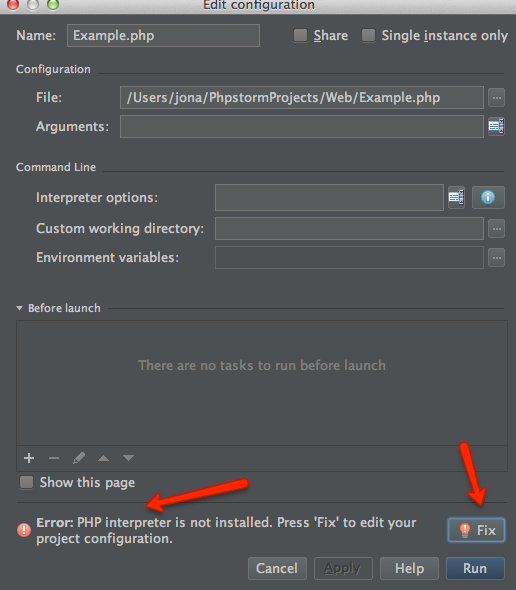 You should clocl on "..." boutton, provide your path to PHP interpreter and select it in that drop down box.